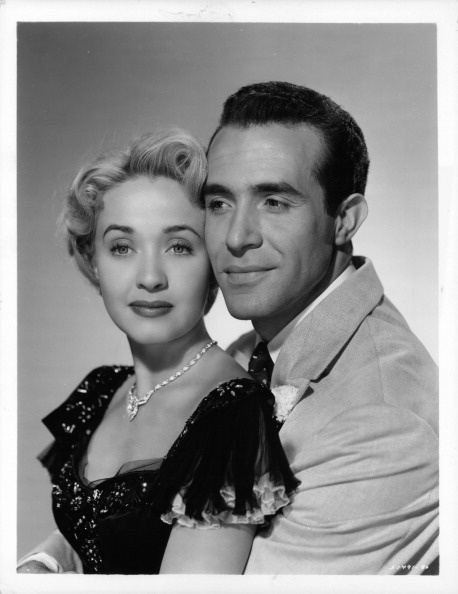 Comedy rules the day in this musical trifle that sees Jane Powell setting her sights on the worldly Ricardo Montalban with Debbie Reynolds along for the ride and stealing every scene she appears in. 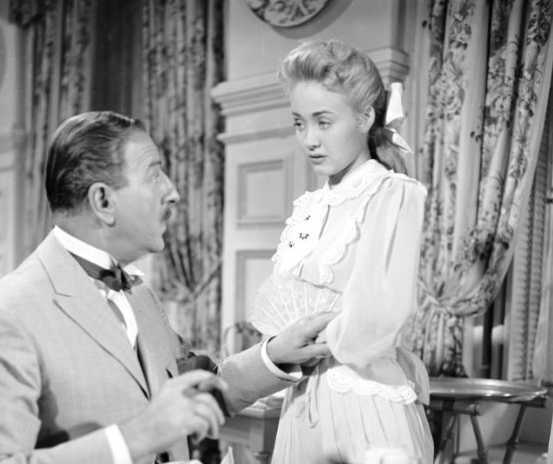 This technicolor feature takes place at the turn of the 20th century where Louis Calhern and wife Ann Harding will take the family off to the Catskills of New York for their two week summer vacation. At 17 years of age, Powell is feeling all grown up and has little interest in the 16 year old Carlton Carpenter who works the resort as the son of the hotel owner. Carlton has been looking forward to reconnecting with Jane after having spent two weeks with her the previous summer. 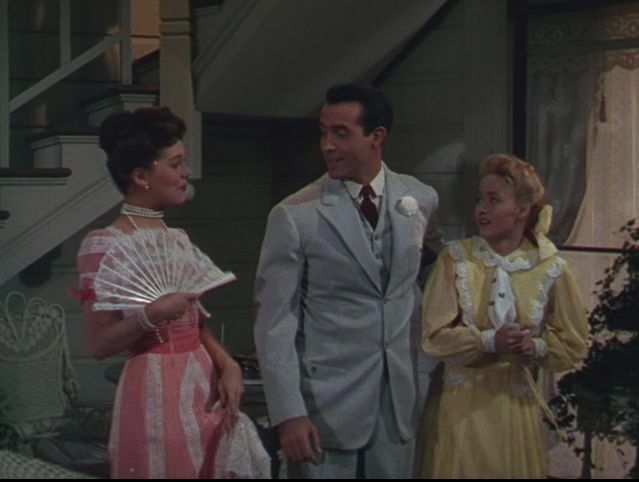 When Montalban walks into the hotel’s dining room, you could hear a pin drop as women of all ages set their cutlery down to ogle the smooth talking Latin lover type. Jane has set her sights on the eventual ruler of Fantasy Island but is going to have to overcome some competition in a corset played by dish Phyllis Kirk. After an embarrassing mishap with a plate of food, Powell meets Montalban face to face and thankfully he’s easy going and will even offer to take her out for a soda at a local café. Two things rear their ugly heads. First her Mom embarrasses the hell out of her by reminding her it’s past her bed time and secondly, Phyllis swoops in to invite herself along. Next up is the swimming hole where Phyllis isn’t so shy about showing some leg above the ankle while Powell is still in one of those ancient skirts that double for a swimsuit. She’s thoroughly embarrassed once again and that’s how much of the comedy keeps coming at the viewer. Her desire is to appear all grown up in the eyes of the gentle Ricardo who is doing his best to seem sympathetic to her plight while fending off Phyllis who is pushing hard for a husband. This is a musical so there are some fun numbers and dreamy sequences strung together by Busby Berkeley. Jane does a number in the hotel parlor and the standard, By the Light of the Silvery Moon, gets sung by the leads in a relaxing scene as they all canoe in the moonlight. This is another opportunity for poor Jane to face an embarrassing scene with Ricardo that only leads Calhern to question the intentions of the handsome suitor. Special mention as well to veteran Calhern who does a great job in a William Powell type role as Jane’s stern yet understanding Father. What Jane really needs if she’s going to capture her dreamboat is a “figure pincher” as Calhern so subtly puts it. Yes the female corset plays a large part in the laughs to follow and in the final song and dance number at the fadeout. Not one to watch a whole lot of musicals, I catch myself wondering why after almost everyone I watch. Many of them are fun, comical and light hearted with just enough romance to recall a simpler time. Montalban? For those who know him only from his later years as Mr. Roarke or the evil Khan, a movie like this might surprise you to his capabilities beyond his two signature roles and for the ladies, you might find him quite a catch back in the day. Dare I say eye candy? Roy Rowland served as director and though I don’t think he’s a household name I will point out that he directed the a movie I often refer to as my favorite Robert Taylor flick, Many Rivers to Cross. I’m exactly the same: I say I don’t like musicals, but then every time I watch one, I find myself liking them! But only the older ones…the Fred Astaire films especially. I should probably add more to my index as well. Of course, I’m sure you would’ve already reviewed a Bronson musical if one existed! Ha, I never woulda thunk! And I’d already read that review before, so this shouldn’t have been news to me. It’s too bad he didn’t sing! Montalban was a surprise to me in another musical with swimming star Esther Williams. 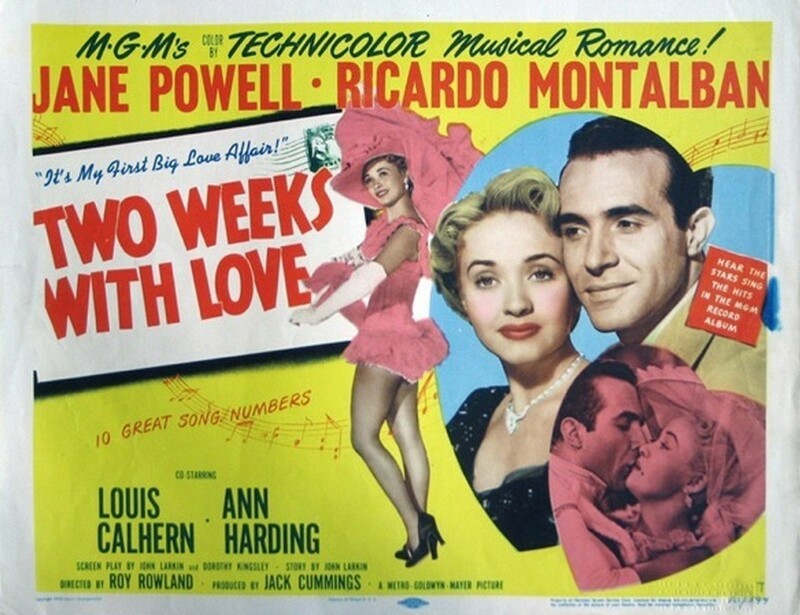 Neptune’s Daughter, and in this movie, Williams and Montalban sang “Baby, It’s Cold Outside” the first time that song was ever sung. They both did a great job with that number. My kids primarily know Montalban as the grandfather in the Spy Kids movies. Not sure I knew about the famous song. He was a pro and I like the Noir he did Border Incident. A real good one. Ricardo! I need to see this asap. I will watch anything he is in, amazing actor, dancer and such a good looking man. Sounds fun. It was a good one. I first saw him n the Apes films I guess. Then fantasy island. He was a real pro and was regularly on commercials hawking product with his smooth delivery.